These two guys joined several months back at almost the exact same time, and they both join us at our 6am class. They’ve been on our list for a shout-out for quite some time! Mark- we cannot wait to hear how much your tennis game has improved this spring and summer. He came in new to strength training and wanted it to help him continue to play tennis and stay healthy. He’s been killing it!! Much deserved shout-out to these two. You both are fun to coach and have a great attitude- even when the workouts are tough! Shawn joined us several months back after he finally took up a friend on their referral. 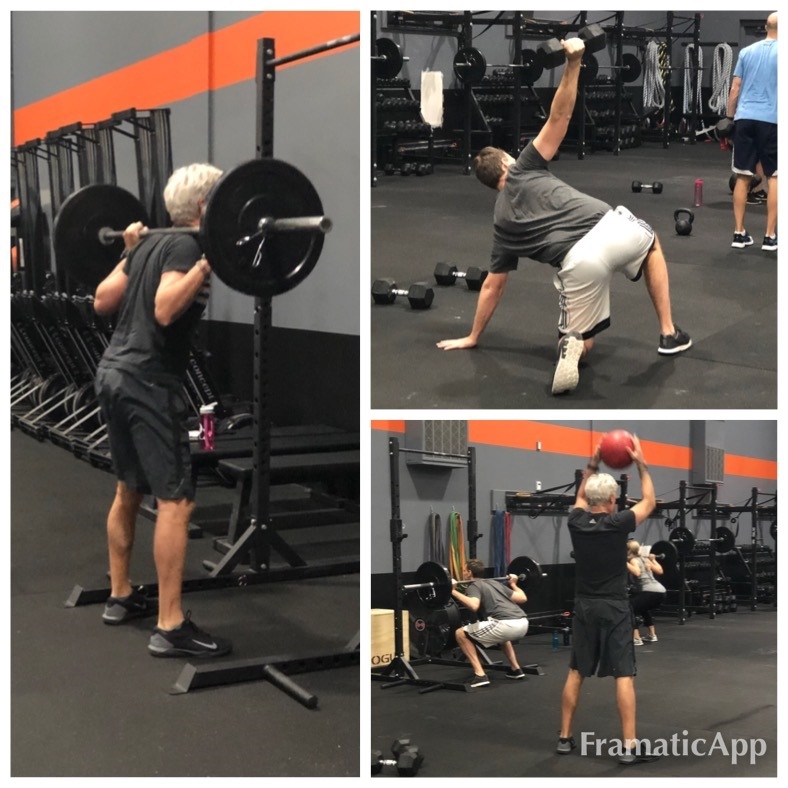 He comes to several class times, as his work schedule changes often, but he is consistently finding a way to come to the gym and that consistency is paying off! He continues to get stronger each week and takes coaching cues well. Just one of those guys who is fun to coach. He is a great addition to our fit fam and seems to get along with anyone. Plus, once the workout begins, he gets right down to work! Can’t wait to see his continued progress in a year from now. Keep killing it dude, we are proud of you!! AND we can’t wait to have his wife in class now that she is officially moving here from Canada- :)!! We all know we need to eat healthy to help reach our goals. However, with the way society is, finding healthy food on the go is difficult. Meal prepping healthy food each week can help! This helps us to have options ready to go when we need it. But how the heck do you eat the same foods each day? Or how do we make healthy food taste great if we aren’t the greatest chefs?? Watch this video for some cooking tips to help you, so you are actually craving that chicken at the end of the week and looking forward to eating the meals you’ve prepped ahead of time! Linda! Look at this overhead lunge form 🔥🔥🔥🔥 !! Linda joined us a few months back when her previous gym had closed. She was looking for a new gym family. This lady continues to improve on form each and every day and is learning how STRONG she really is. Even if it’s a bunch of new exercises, she is always willing to try and works as hard as she can. It’s been awesome having her smiling face in the early evening classes. She fit right into our community and listens to coaching cues. 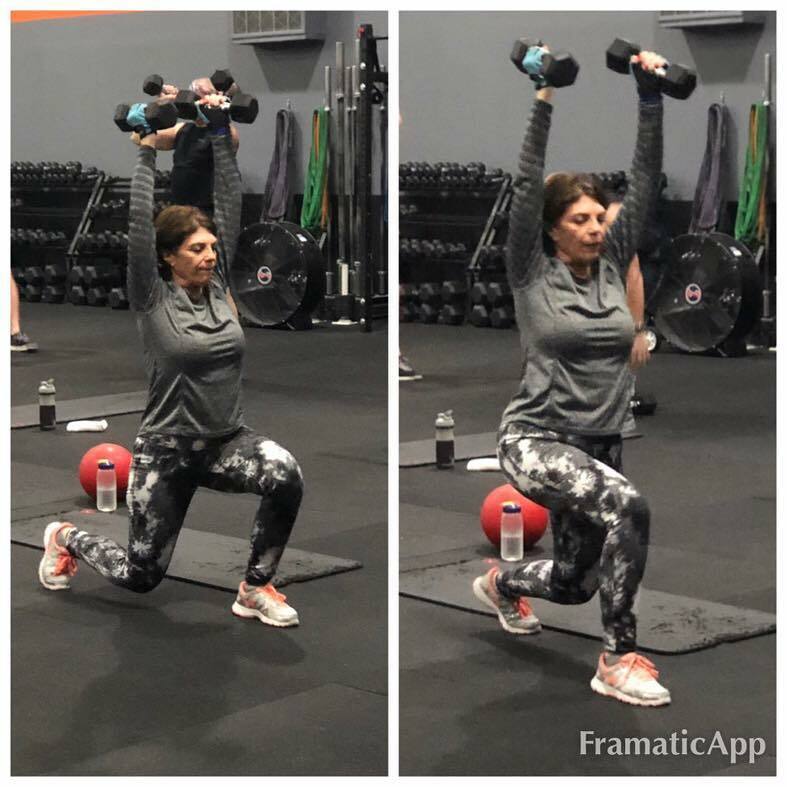 Linda is always focusing first on form, and her progress truly shows in these photos. Overhead position is difficult AND she is rocking it out while lunging. Proud of her! Great work Linda!! We are so happy you found us! !